Place your life upon this altar. You will witness how a priest will place a drop of water within a chalice full of wine. That drop of water intermingles with the wine and signifies you in the Holy Mass. You can become one, unite with and intermingle with Jesus. That is why the Holy Mass is called Communion ...union with God ...you and your God together ...that is the Holy Eucharist. All of us together and Jesus. That is the church, and that is where the one, holy Catholic apostolic church comes from. "He who can separate you from the altar is your only enemy. There is no other"
Every time we come into the church and celebrate the Holy Mass, that is our embrace, our hanging onto Our Lord and saying, "Lord where would we go, for you are the Word of Life." Where did the martyrs gain so much strength from? In the Church, where did the witnesses gain their strength from? To date, in this year, 23 missionaries have been murdered around the world in four months. That is a lot. How can a man give his life for Jesus simply, with delight? It is the Holy Mass that does this within us, so that for you I'm able to give my very eyes, my arms and my life, my everything as Jesus gave His all; and the same way the Christian must give his all. 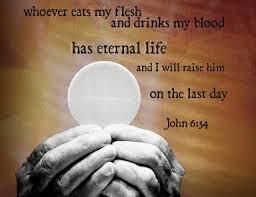 Yes, once again, I must return to the Holy Mass and the Holy Eucharist. Why is it that churches and sects do not tolerate the Mass, do not respect Our Lady? Because they go hand-in-hand. Yes, they go together. Our Lady teaches to come to love Jesus, to fall in love with Him, and that is why she places us before the Holy Eucharist, and pleads with us to pray before this holy, blessed Sacrament, so from Jesus we may learn to become bread for others; so that I not have fear to say, "Take this, all of you, of me, and eat of it." I know a lot of Anglican and Protestant priests, ministers, that were in Medjugorje. I know of a Presbyterian bishop that I have met from Washington. He had sent a multitude of his priests to Medjugorje as well. 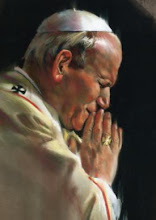 When I was in Washington a few years ago, I visited him because he visited me and came to Medjugorje. He had a problem, a cross, that was inflicted upon him. His son was shot in Vietnam and became paralyzed. When his son returned from the war, he said to his wife, "Let us make a pilgrimage to Medjugorje. I believe Our Lady will hear us." And Our Lady gave a miracle. The son was healed and converted the parents. The bishop desired that all of his priests come to know Our Lady. Eight of those priests to date have become Catholic priests, without any shouts, without publication, without media. Our Lady works in miraculous ways. She was always the sign, the sign of a better world, the sign of peace and unity in the Church, the sign of our salvation. May it also truly be the same in your city or town. Let us commence this Holy Mass by preparing ourselves and involving this great grace.